The proxy list deception! Be careful with proxy lists! Proxy lists are mostly used to circumvent web blockades and protect your internet privacy. There are many proxy lists available online. They all claim to enable anonymous surfing. This is not a correct statement. A proxy list is not more than a list of (CGI) proxy servers you can choose from in order to request information from a webserver on behalf of the proxy server. It provides you with an indirect internet connection and functions as an intermediary. The internet communication proceeds from your computer through the proxy server to the final webserver you visit. That’s it. 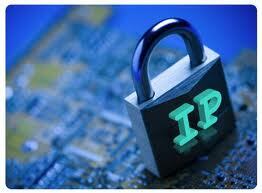 Most of the online proxy list services also provide IP cloaking in order to provide some degree of anonýmity. The combination provides a good function, for example accessing blocked websites, but I does not provide you with an anonymous internet identity. 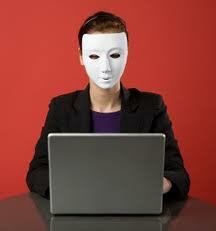 Surfing the internet with help of a proxy list and a new IP is not equal anonymous surfing. Surfing the internet with a free proxy server is most likely going to infect you with spyware or adware and loose all your privacy. Most of these free public proxy servers are set up by hackers and/or aggressive marketeers. Why is it dangerous to use a proxy list? Bandwidth costs money. If somebody offers an internet connection with help of an anonymous proxy server the provider would need to have bandwidth available. Slow internet? Most of the times, the proxy servers you can access from a proxy list, do not have much bandwidth available or tap some bandwidth from other sources. This is done by purpose, in order to serve you a lot of ads. While you are getting frustrated by the lack of internet speed, these ads are served to you and often are injected with malware. If you click on an ad because of sheer boredom, you will most likely get infected. On top of that, a proxy server with an IP rotating system, will not be sufficient to give you anonymity. It does not provide the technological basis in order to enable you to do that. Something crucial is missing. What should I use instead of a proxy list with public proxy servers? The most effective and secure way to have a high degree of anonymity and internet privacy on the net, is by using a VPN service. VPN services also make use of proxies and IP rotating systems. The crucial difference is that the VPN connection encrypts all traffic. It will be almost impossible for traffic sniffers and internet surveillance software to access the content of the traffic. Besides the fact the internet connection is very secure you have the best internet privacy protection system in place. In particular if you are using often (public) Wi-Fi Hotspots, the VPN service is the most clever solution to adopt in order to securely and anonymously surf the internet. So, we strongly recommend you to make use of a VPN service instead of a proxy list. A good VPN service should be able to give you a lot of choice with regards to connect you securely to a VPN proxy network with servers located in many locations around the world. It should support different VPN protocols, like OpenVPN, PPTP and L2TP. It should be able to rotate IP addresses automatically and have access to an enormous reserve of possible IP addresses it could use. It is also important it provides you with unrestricted bandwidth. HideMyAss! is a famous brand with regards to developing excellent VPN services. We strongly suggest you make a test drive with the VPN Service of HideMyAss! Why should I use HideMyAss instead of a proxy list? According to our research, HideMyAss (HMA), provides you with the most advanced and feature-packed personal VPN software on the market. The solution is very easy to use. There is no no complicated networking setup required. It provides you with a One-click connection and helps you to easily locate and connect to VPN servers. Also, you can schedule IP changes and change your IP address at set time intervals. Of course, it supports multi-protocols (OpenVPN, PPTP, L2TP) and provides you with a Secure IP Bind. This ensures anonymity and protects your applications. A proxy list does not provide you with such an easy to use software solution, does not encrypt your internet traffic, and leaves you surfing slowly and vulnerable for malware attacks. It is a well known fact that many public proxies are set up by hackers and are used as hacker pots. That’s why we recommend you strongly not to use a proxy list and use a VPN solution of a professional VPN software provider. HideMyAss is such a provider and you ought to check it out. You are welcome to visit their website here and check out their solution. Pingback: What are the best internet security measures I should take?